Finding data can be challenging. Organizations and government agencies can share their data with the public using ESRI’s ArcGIS Open Data, a centralized spatial data clearinghouse. Since its inception last year, over 1,600 organizations have provided more than 22,000 open datasets to the public. 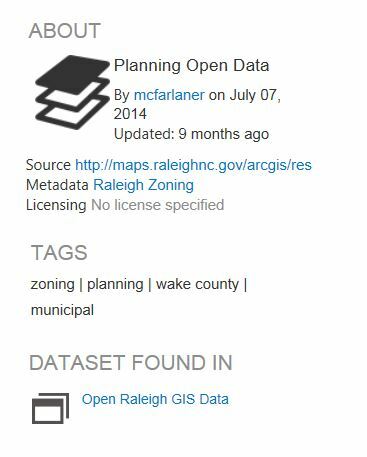 Open Data allows users to find and download data in different formats, including shapefiles, spreadsheets, and KML documents, as well as APIs (GeoJSON or Esri GeoServices) to call the data into your own application. It also lets you create various types of charts. Open Data allows consumers to type in a geographic area or a topic of interest in a single search box. 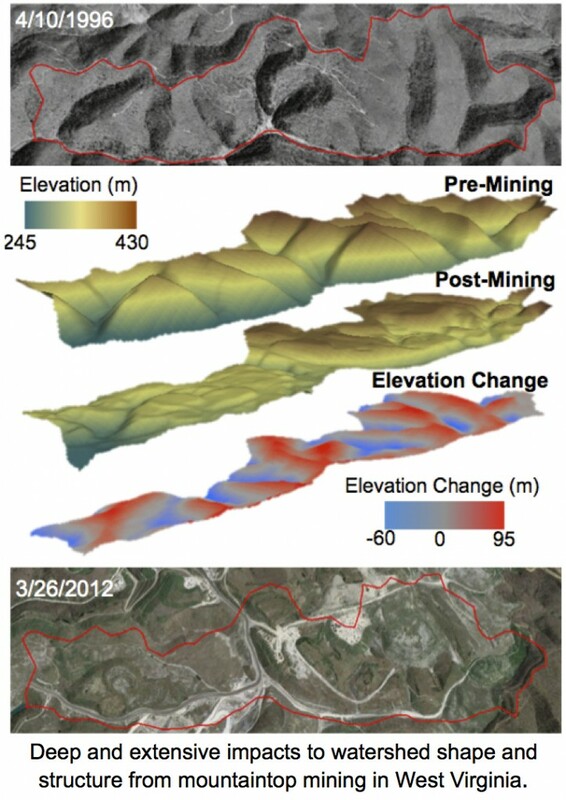 Once you’ve found data that appears to be what you were looking for, you can use the data for GIS purposes or use a table to create charts and graphs. If you are looking for GIS data, you can preview the spatial data before downloading by clicking the “Open in ArcGIS” icon. This takes users to ArcGIS Online where they can create choropleth maps and interact with the attribute table. Users interested in tabular data can filter it and create various types of charts. If more analysis of the data is necessary, you can download it by clicking the “Download Dataset” icon; you are able to download the entire dataset or the filtered dataset you’ve been working with. The Source and Metadata links below the “About” heading provide information about the data. In-depth information such as descriptions, attributes, and how the data was collected are provided in these links. 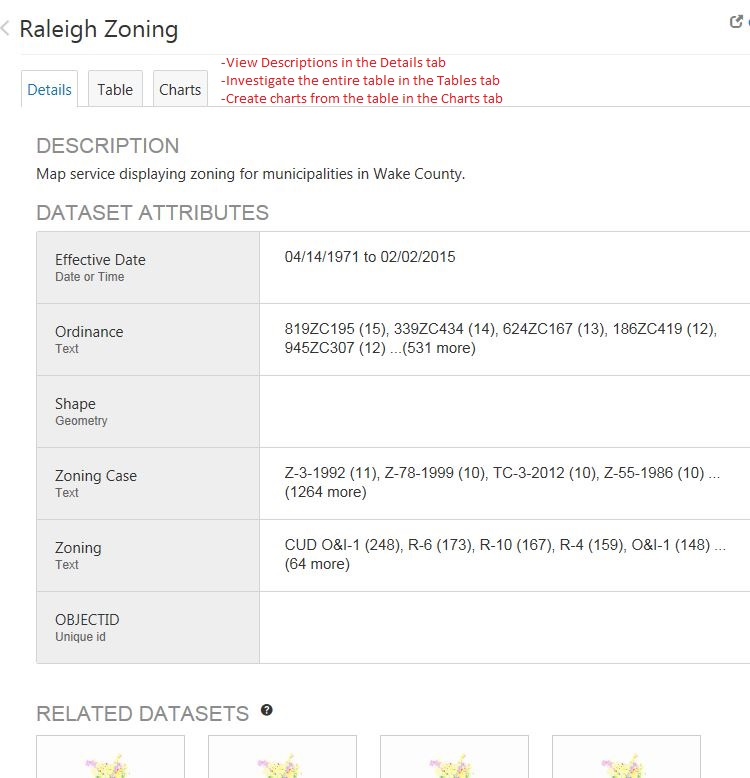 Below the name of the dataset there are three tabs: “Details,” “Table,” and “Charts.” Under the “Details” tab there are three sections, the Description, Dataset Attributes, and Related Datasets sections. The Dataset Attributes section outlines the fields found within the dataset and provides field type information, while the Related Datasets section provides links to other datasets that have similar geographies or topics to the dataset you’ve chosen. In the “Table” tab, you can view and filter the entire table in the dataset and the “Charts” tab allows you to create different charts. To obtain the most updated dataset or other updated articles related to the dataset, users should subscribe to the dataset they are interested in. To subscribe, copy the link provided into an RSS Reader. For specific data source questions, feel free to ask the Data and Visualization Department at askdata@duke.edu. Our third year of the Duke Student Data Visualization Contest has come and gone, and we had another amazing group of submissions this year. 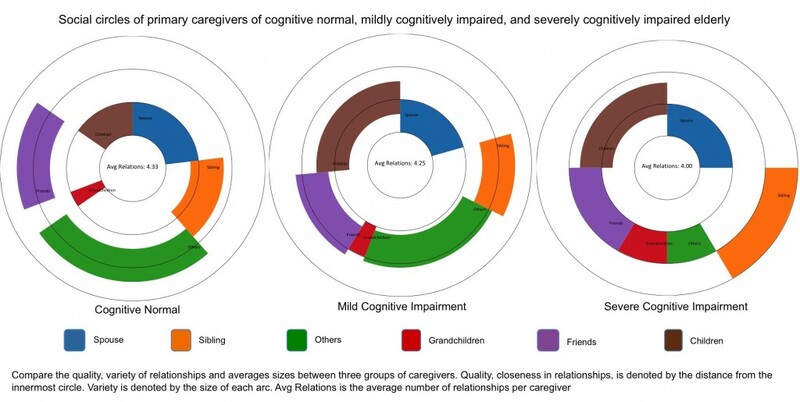 The 19 visualizations submitted covered a very broad range of subject matter and visualization styles. Especially notable this year was the increase in use of graphic design software like Illustrator, Photoshop, and Inkscape to customize the design of the submissions. The winners and other submissions to the contest will soon be featured on the Duke Data Visualization Flickr Gallery. As in the past, the submissions were judged on the basis of five criteria: insightfulness, broad appeal, aesthetics, technical merit, and novelty. The three winning submissions this year exemplify all of these and tell rich stories about three very different types of research projects. 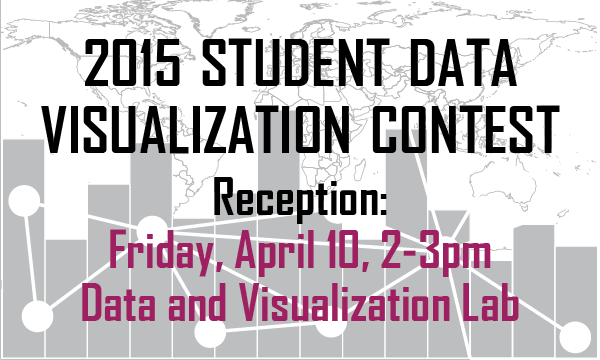 The winners will be honored at a public reception on Friday, April 10, from 2:00 p.m. to 3:00 p.m, in the Brandaleone Lab for Data and Visualization Services (in the Edge). They will each receive an Amazon gift card, and a poster version of the projects will be displayed in the lab. We are very grateful to Duke University Libraries and the Sanford School of Public Policy for sponsoring this year’s contest. Please join us in celebrating the outstanding work of these students, as well as the closing of the Places & Spaces: Mapping Science exhibit, on April 10 in the Edge. Duke Libraries are happy to host the American Statistical Association’s Data Fest Competition the weekend of March 20-22nd. In its fourth year at Duke, DataFest brings teams of students from across the Research Triangle to compete in a weekend long competition that stresses data cleaning, analytics, and visualization skills. 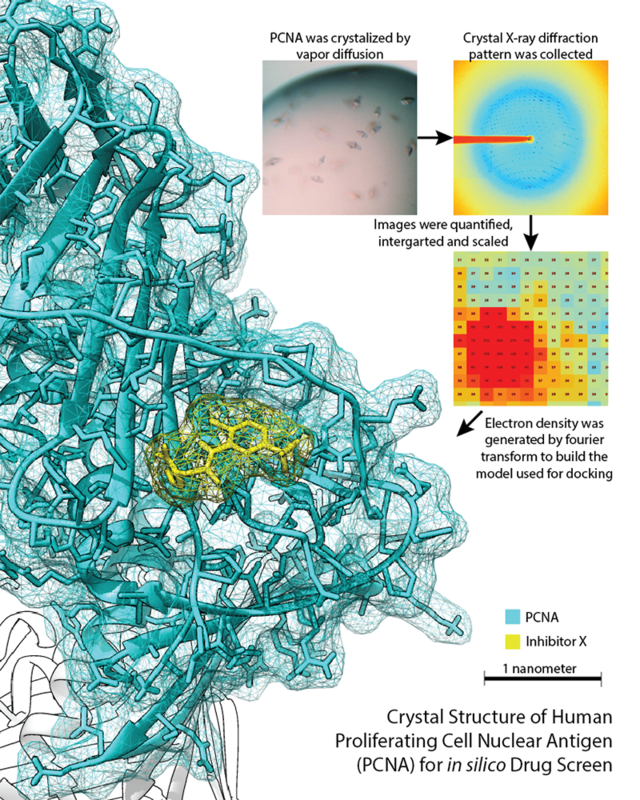 The Edge provides a central location for the competition with facilities designed for collaborative, data driven research. 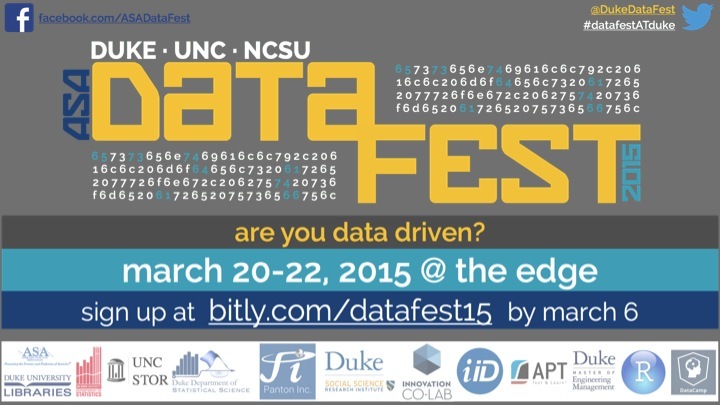 While the deadline for forming DataFest teams has past, Data and Visualization Services and Duke’s Department of Statistical Sciences are happy to offer another opportunity to participate in DataFest. Starting Monday, March 16th we are offering four workshops on data analytics and visualization in the four days leading up to the DataFest event. All workshops are open to the public, but we strongly encourage early registration to ensure a seat. Please come join us as we get ready to celebrate ASA DataFest 2015.